Guests & owners enjoy this private setting in desirable Valley Farm equestrian community. 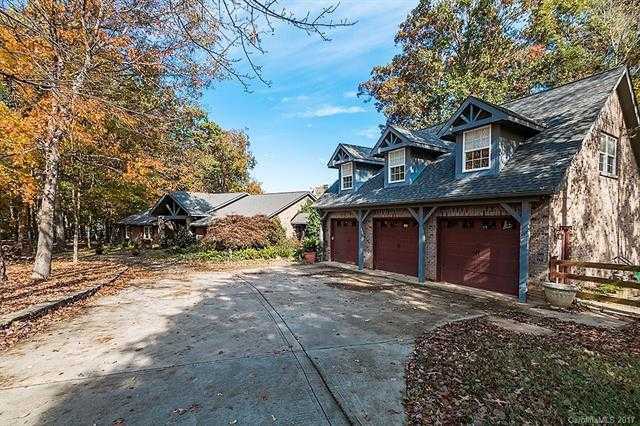 Enter through stone columns; concrete tree lined drive past vinyl-fenced pastures & horse barns to home nestled in woods overlooking private pond. Many outdoor living spaces; large screened porch plus deck leading to pond-side stone terraces & fire pit. A warm & inviting home w/many upgrades including master bath & entertainer’s kitchen. Add’l guest accommodations found in the carriage house above garage. When driving to the property, you will find it much quicker and easier to go Hwy 84 into Wesley Chapel then right onto Waxhaw Indian Trail vs going all the way into Waxhaw. Be at the airport in less than 45 minutes.